Interested in typing "Hindi" or any other languages using your smartphone or system? 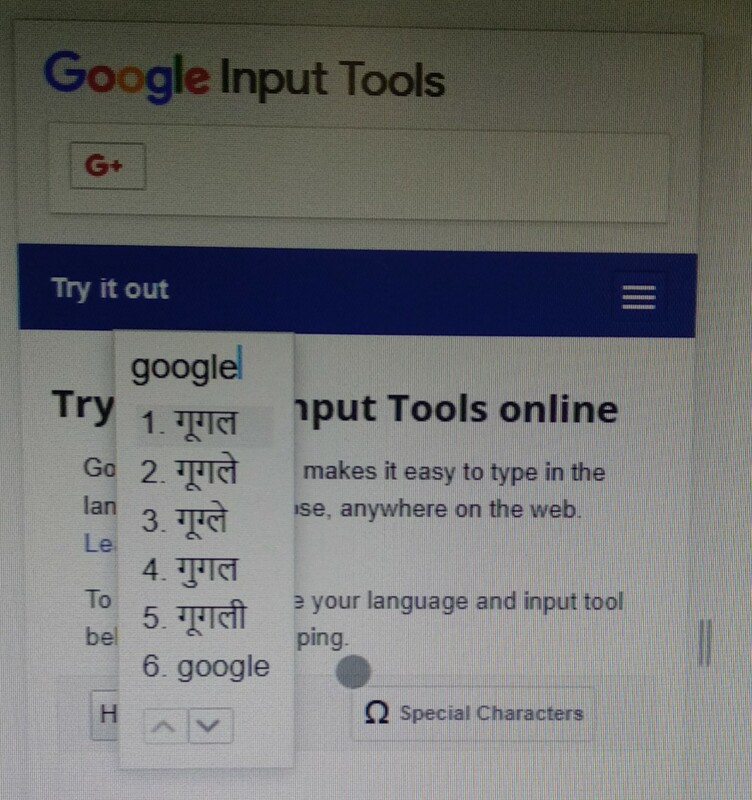 If you want to type in many languages ​​and you are searching for a tool, your search ends here. 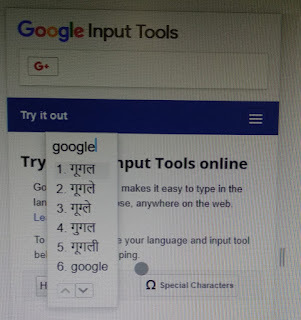 Although there are many tools available to write in other languages, the simplest and best tool is Google input tools(Google Input Tools). Why we choose Google Input Tools. You can use this tool into online , offline an and also in on the go mode. Download it into your PC and you can use it offline also. It remember your correction and make custom dictionary for names and uncommon words you type. You can get this tool in your android device. For using this tool as extension for chrome browser click on the link and follow the steps mentioned there Google Input tool chrome extension . Tool is available for Android Device, Chrome, Google Services and windows. 1 what is this image? So, we will give you answer of all the question.......! Every time when we hit google.com in any web browser and google search page is appeared with an attractive google logo and that attractive image is nothing but an Google Doodle. What is this Google Doodle? Doodles are the changes made with google logo to celebrate an special event, an special day or birth anniversary of artist, scientist. This is the google's way to tribute. All started when the first time when the stick figure drawn behind the second "o" of google in 1998, Burning Man Fastival. Google Doodle is designed by the team of best illustrator call them doodlers with team of engineers. Google user can also share idea for google doodle? Do you know about Indian Hindi social networking site. Yes , it's true the pure made in India hindi social networking site "MOOSHAK", founded by Anurag gour. this new social media platform is attractive in many ways , it consist various features most important thing in this social networking site is that its purely in "Hindi" and in this social networking site have no word limits that is give better than other social networking sites. Best part of this social networking site is its unique support for regional languages , the founder of this pure "hindi" oriented made in india so called "Bharat me nirmit" social site, believes that "mooshak" will be the choice of people who love regional language and feel proud in speaking in mother tongue.